Here is a selection of books that are going to help motivate you as a person and as an educator. The books are in order. They start with the very best books you can buy, down to books that are still better than most on the market. Do remember that a lot of motivation books are simply terrible, and you can save yourself a lot of money if you buy these instead of getting your hands burned by other books. EssayMama writing service presents top 10 motivational books for educators. 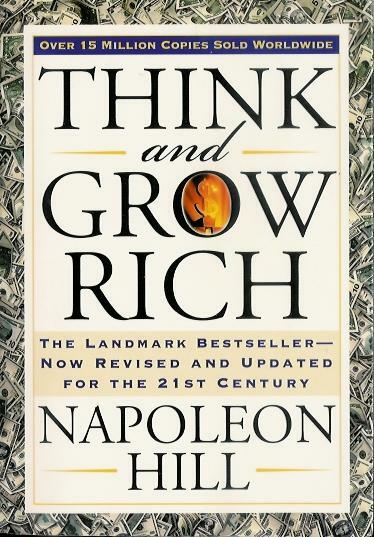 The best set of books you will ever read on motivation are written by Napoleon Hill. His first book is still the biggest selling of all time with the exception of the Christian Bible. It is the accumulation of twenty years of work interviewing the most successful people of all time. He has found commonalities between all of them and maps out how to use what he has learned to achieve anything. Through his books, you will find hundreds of examples of how people have turned a thought into a reality and he explains how they did it and how you may do it too. It is highly motivational because it shows you that you can achieve anything and you do not need to create a wish list or meditate or speak aloud a motivational saying every day. The books motivate you because saying something and doing it are two different things. Other books give you techniques to motivate yourself, but his books give you techniques on how to succeed, to the point where you are motivated because you now have a clear view of what you want and how to get it. Sean Stephenson is a three-foot person in a wheelchair with a severely messed up body (not using the medical terms of course). Yet he is successful, has worked in the Clinton office and has a beautiful and intelligent wife. His book is not about inspiration or admiring him for his achievements. It is about taking a look at yourself and asking why you are making so many excuses. He focuses on the word “But” and helps you see that every time you say “But” you are actually making an excuse. It is quite eye opening, even though there is fluff in the book, it is eye opening because you start to realize just how many excuses you make on a day-to-day basis. The fluff in the book is tolerable because it is not him trying to show his perseverance over adversity. It is more mushy stuff such as loving yourself and the people around you and trying to help others. Someone less cynical may find the fluff enlightening. This is the book that convinced Ginger Spice to leave the Spice girls, so it should get some applause for just that (it is also the reason this book isn’t at the bottom of the list). If you are a fan of logic or are an intelligent and pragmatic person, then you are going to hate this book. Still, even an intelligent person will find a few motivational snippets in it, though it is just dying to be rewritten to keep in the good and take out the fluff. There are about three pages that are worth reading, so if you are good skim reader, then blow through this book to get the good bits. For example, there is one piece that shows you how your life is divided into work, kids, sleep, lover, etc. It is eye opening because it helps you see how some parts of your life are dominating the rest, and it leads to fear of loss of that dominating thing. It is eye opening to the point of motivating you to make a change. 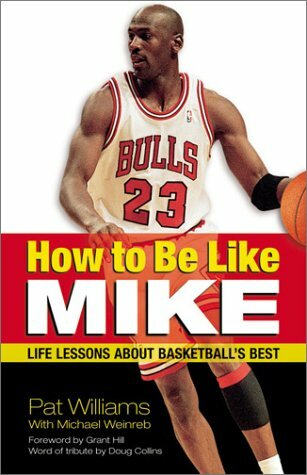 Understand that this is not a book written by Michael Jordan. It is a book by Pat Williams, who has studied Mike and has come up with eleven characteristics of Mike. Many of the reviews on Amazon were placed there by the marketing company, as they have that PR friendly glow that only other marketers can spot. But, this is not to say it is not a good book. It only falls down slightly for being disorganized and when Pat adds in family stories of his own. Other than that, if you are scrape away the crude and concentrate on the good bits then there is a good chance this book will motivate you. It is not really the characteristics that will motivate you, as you could have figured out a lot of them yourself. It is the stories that will motivate you. There are some great ones of people persevering whilst being knocked down repeatedly. Even Michael Jordan himself was cut from the High School basketball team. The stories are what will motivate you. It is cheesier than a mouse’s breath, some have criticized it for having a message that is too simple, and others just call it an introduction book to NLP (Neurolinguistic programming). Here’s the shocker--every one of those criticisms are valid. The reason Keith Harrell’s book gets a recommendation here is twofold. The first reason is that he admits and even pushes the idea that making a change is hard. Too many motivation books try to push techniques without acknowledging the fact that most things are easier said than done. For example, some books say that if you go jogging in a morning then you feel better and more motivated (easier said than done). The second reason is because what he says is common sense, and the motivation book industry is littered with books that run contrary to common sense. Yes, you should know what he is writing, but chances are you need reminding. It is like telling a fat person they may lose weight if they do not eat as much. They know that over eating causes fatness, but they need reminding about common sense issues such as having less fried food. 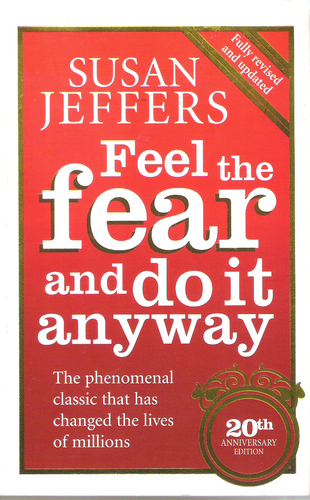 There is a chance that this book will help motivate you.